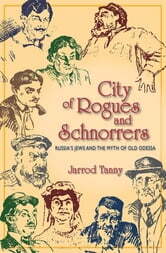 Old Odessa, on the Black Sea, gained notoriety as a legendary city of Jewish gangsters and swindlers, a frontier boomtown mythologized for the adventurers, criminals, and merrymakers who flocked there to seek easy wealth and lead lives of debauchery and excess. Odessa is also famed for the brand of Jewish humor brought there in the nineteenth century from the shtetls of Eastern Europe and that flourished throughout Soviet times. From a broad historical perspective, Jarrod Tanny examines the hybrid Judeo-Russian culture that emerged in Odessa in the nineteenth century and persisted through the Soviet era and beyond. The book shows how the art of eminent Soviet-era figures such as Isaac Babel, Il’ia Ilf, Evgenii Petrov, and Leonid Utesov grew out of the Odessa Russian-Jewish culture into which they were born and which shaped their lives.